Many Homeowners are aware of the Federal Government’s initiative to assist them with the Loan Modification process with the Home Affordable Modification Program (HAMP). New York State also provides specific guidance for Homeowners in distress both from a support perspective and from a regulatory initiative. Here are some key points for New York State Homeowners to be aware of if they are considering a Loan Modification. Under New York Law, a servicer is responsible for ensuring that its staff is aware of programs designed to assist borrowers in avoiding foreclosure or resolving delinquency. If a homeowner is 60 days late on his/her payment or if a servicer has reason to believe the homeowner is experiencing financial hardship and in imminent risk of default, New York requires servicers and their staff to provide a list of government-approved not-for-profit housing counselors in the homeowner’s geographic area. Servicers can find the list on the Department’s website or the Division of Housing and Community Renewal’s website. A servicer is required to make loss mitigation staff available to the borrower. This information must be provided to the borrower and include a toll-free number so a borrower may have direct communication with the loss mitigation staff. In addition to this toll-free number, the servicer must establish a fax line for receipt of documents as well as an email address. Servicers are required to establish special escalation contacts for not-for-profit housing counselors, government representatives and legal services organizations to utilize when necessary to review or intervene in the handling of a pending loss mitigation matter. The NYS Department of Financial Services has created the Foreclosure Relief Unit as part of a statewide initiative to assist homeowners already in foreclosure or at risk of foreclosure. Homeowners in danger of foreclosure may call the Foreclosure Relief Hotline at 1-800-269-0990 or visit the “Help for Homeowners” section of the Department’s website. 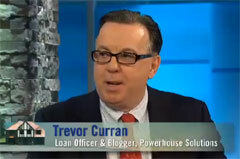 I will be happy to review and approve all legitimate comments provided by readers of tcurranmortgage.com. I do not permit unfettered access to comments for obvious reasons: mortgage spammers and their ilk. If you wish to Comment on any entry, please do so and I will quickly review and approve.